The leading Jamaican newspaper, the Jamaica Gleaner (of which I have fond memories, my mum used to order her copy from the local newsagents every week… back in the day!) announced earlier this week that four of the island’s most well-known women have been selected to be L’Oréal ambassadors in Jamaica. Former beauty queens Joan McDonald and Sara Lawrence. 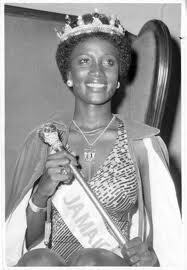 Joan McDonald is widely known as the first Miss Jamaica World, having won the inaugural beauty pageant in 1978. She represented Jamaica at the Miss World contest in the United Kingdom. She has also served her country as a cultural ambassador in Europe and in the United States of America. McDonald has distinguished herself in public service by working with many community groups and non-governmental organisations. She has been a branch director at the Jamaica Red Cross and was a director and public-relations officer of the Lay Magistrates Association of Jamaica and a trained facilitator for Restorative and Community Justice Practices. She is still deeply involved in the beauty pageant that launched her career and has been a grooming consultant for Miss Jamaica World Pageants and Miss Festival Queen competition. Lawrence was born in Kingston, she went on to graduate from Randolph-Macon Woman’s College in Lynchburg, Virginia, where she majored in biology with an emphasis on pre-medicine. 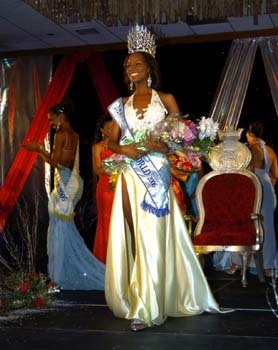 After winning the Jamaican title in August 2006, Lawrence placed in the first six at the Miss World competition held in Warsaw, Poland, where she was also named Miss World Caribbean. Lawrence, however, received overwhelming support from the Jamaican public for her decision to have her baby. She received the backing of the Miss World Organisation and was allowed to retain both her crowns for the full duration of the reign. I am pleased that she is to be one of the faces of the new campaign…beauty isn’t perfect, we all have had challenges that we have had to overcome in life and we all deserve a second chance from time to time! The other two women are economic consultant Paulette Mitchell and student Kacis Fennell. I couldn’t find out much information about these two women – but I am sure we will get to know them better as the campaigns unfold. The announcement was made at a glittering event called ‘L’Oréal Live: Bringing Beauty to Life’ and was hosted by the Pioneer Manufacturing Distribution Company Limited (PMD) – the local distributor of both the L’Oréal and Garnier brand of products . (Source: The Jamaica Gleaner). In presenting the concept behind the L’Oréal Ambassadors programme in Jamaica, director of PMD, Winston Barrett, said “PMD was seeking to emulate one of the most innovative programmes adopted by the international beauty-care manufacturer. The Jamaican L’Oréal ambassadors will be the faces of the brands both locally and in the rest of the Caribbean”. This marketing strategy, often dubbed ‘Glocalisation’ is a key tenant of the make up giant’s plans for future growth. Glocalisation serves as a means of combining the idea of globalisation with that of local considerations. 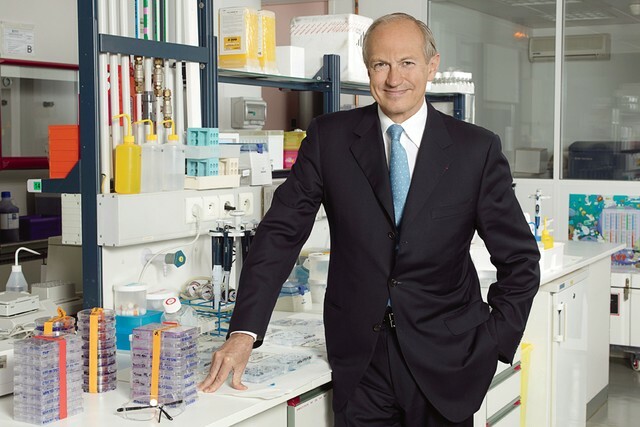 In a recent interview with Beauty Inc (part of wwd.com), the CEO of L’Oréal, Jean-Paul Agon, stated that this “new concept” essentially moves “beyond globalisation” and forms an essential part of the firm’s efforts to add 1bn people to its customer base. “In order to conquer and loyalise these consumers around the world, the idea is to build from the brands that we have,” he said. Agon also argued that such an approach could come to define the next ten years, when 2bn people globally will enter the middle class for the first time. Despite this, I am really excited that these beautiful Jamaican women will be joining L’Oréal’s diverse global spokespersons such as veterans Beyoncé, Frieda Pinto, Kerry Washington and the latest women of colour to join the roster, Ethiopian born model Liya Kebede. I will most definitely be keeping my eye out for the initial campaigns! 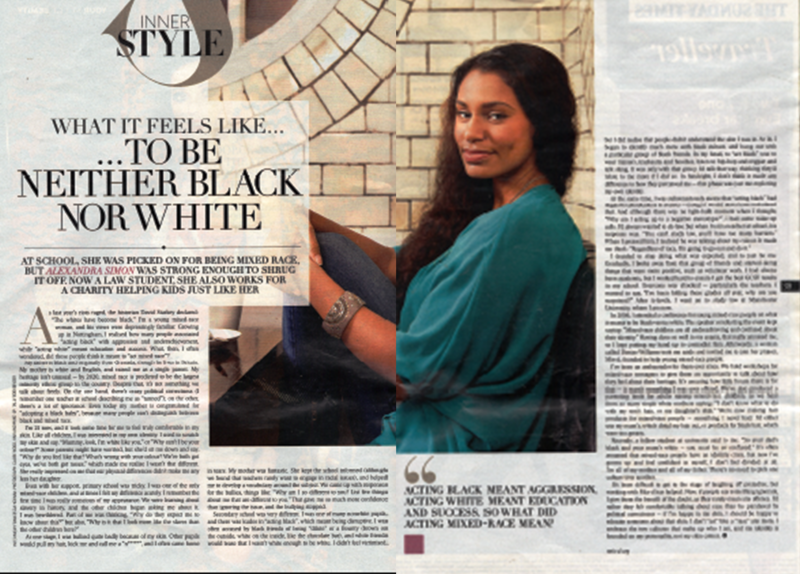 In last Sunday’s Sunday Times Style magazine, there was a brilliant article looking squarely at the issue of being a mixed race young woman in Britain today. An extremely beautiful 24 year old called Alexandra Simon, recounted her journey of realising and accepting her identity…and the challenges and triumphs that she encountered along the way. Race and ethnicity are still hot topics in the UK and I hope that the candid, honest debate continues and that developments in the beauty industry can contribute to this debate. I do believe that 2012 will be a significant year for the ethnic beauty here in the UK, as several of the large beauty brands – both mass and prestige – have launched foundations to target this burgeoning sector of the population. 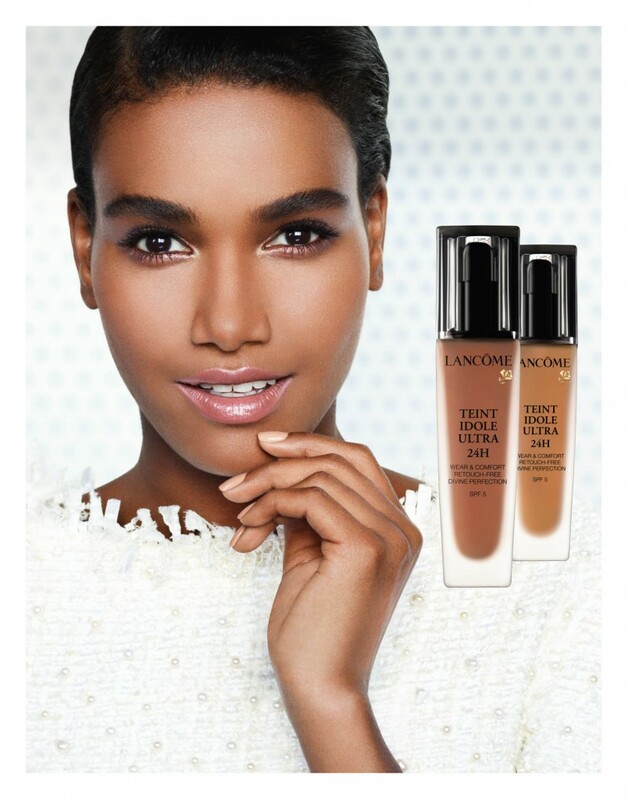 Lancôme launches its latest foundation, Teint Idole Ultra 24H Foundation (£27) next month, it comes in 18 Shades and you can receive a complimentary, 7 day sample at selected Lancôme counters nationwide. 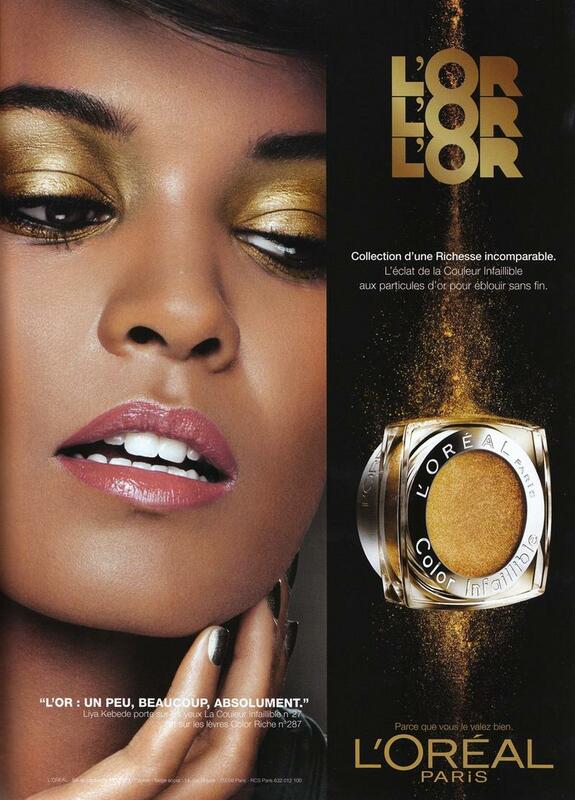 The new campaign will feature Lancôme’s stunning spokes model Arlenis Sosa, who joined the brand in 2009. Last year I blogged about the latest addition to the Chanel foundation family – the Perfection Lumiere Fluide Foundation (£36), which was launched in the States last August. I was praying that the range would hit the UK…and what do you know…it has arrived!! It seems like only 16 of the 26 shades are available…but there are a good number shades that will suit a darker skin tone. You can purchase the new range online from Selfridges, or pop into selected Boots stores to also get your hallowed Advantage Card points! British beauty Alesha Dixon continues to expand her business empire – and was recently announced as Avon’s ‘Beauty and Empowerment’ Ambassador for the UK and Ireland and the face of the new Ideal Flawless Invisible Coverage Foundation (£12). I was eagerly anticipating the launch of this foundation as I had heard that it would be available in 16 shades!! Although Avon has an extensive range of bases suitable for dark skin tones that are currently retailed in the US – these shades have not been available in the UK for a number of years. Ideal Flawless launches in February – but alas – the darkest shade in the range is a warm honey tone called ‘Earth’ – it would be suitable for women such as the caramel toned Miss Dixon – but there are no shades suitable for a deeper chocolate skin tone such as my own. Check out Mrs Carter’s latest US commercial for the make up. Anyway, I will be updating you soon on my foundation picks for 2012!